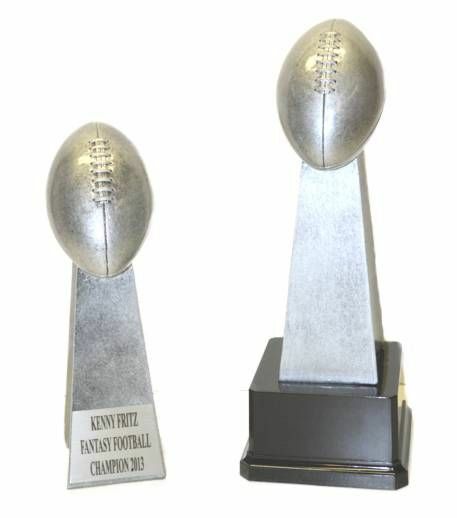 This Small Lombardi Trophy Look-a-Like comes in 2 versions, either stand alone or on a plastic base. The stand alone version is 9" tall and when mounted on the base, it stands 12" tall. 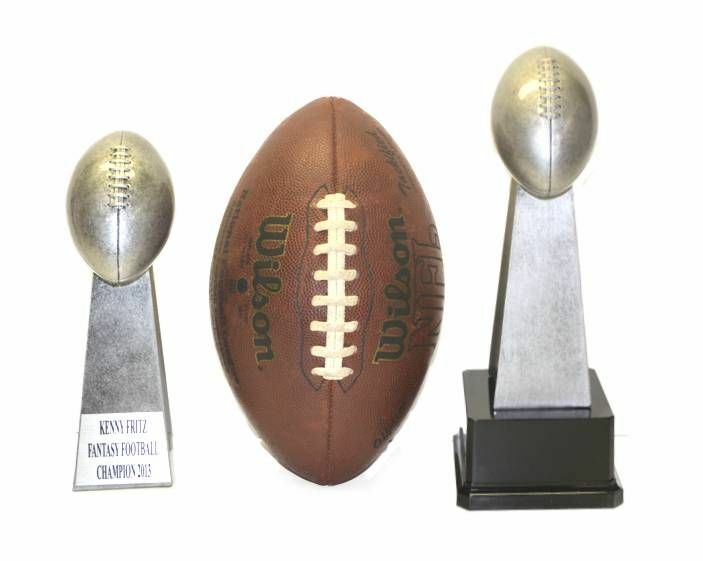 These are premium replicas with a full body all around, not just a front and hollow back.